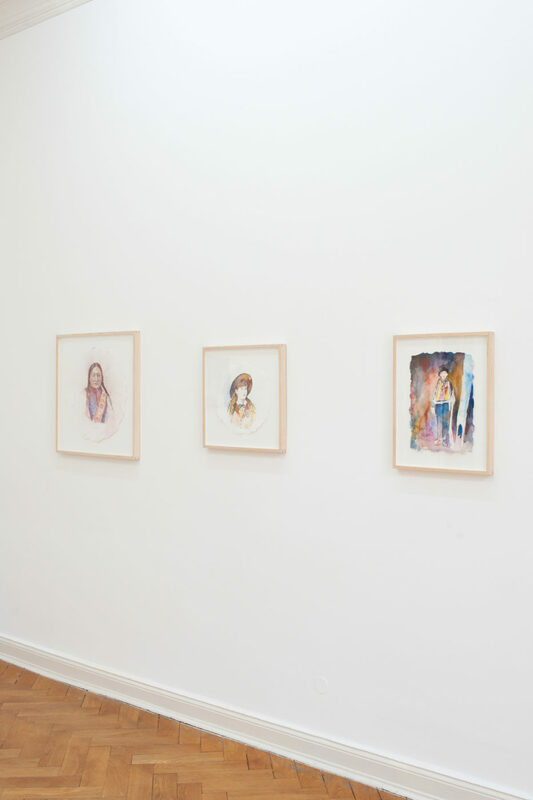 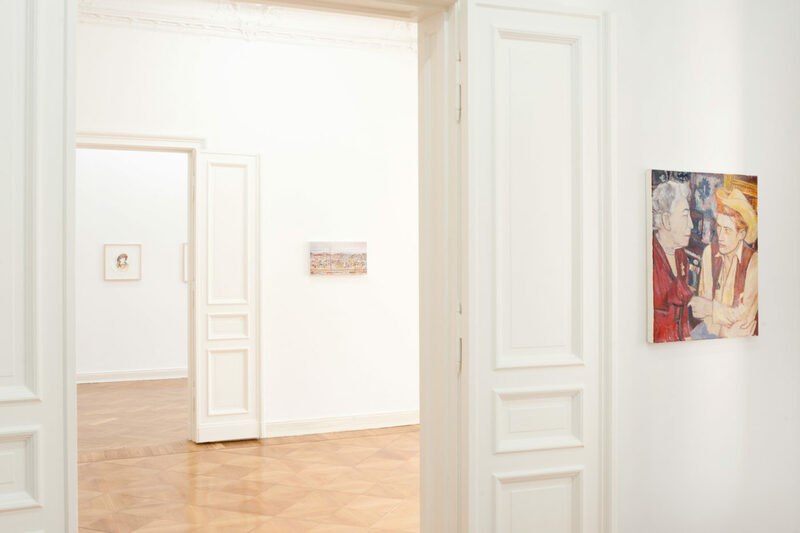 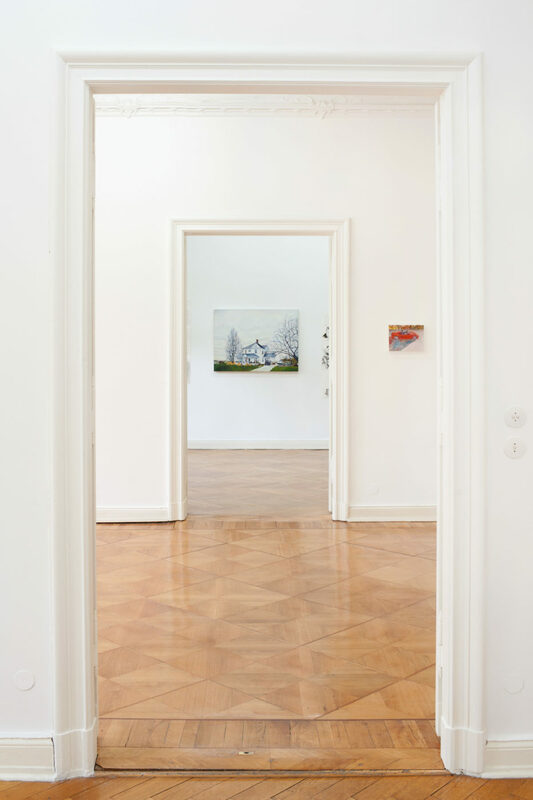 We are honored to present My American Dream: Berlin Edition, Keith Mayerson’s first exhibition with Weiss Berlin. 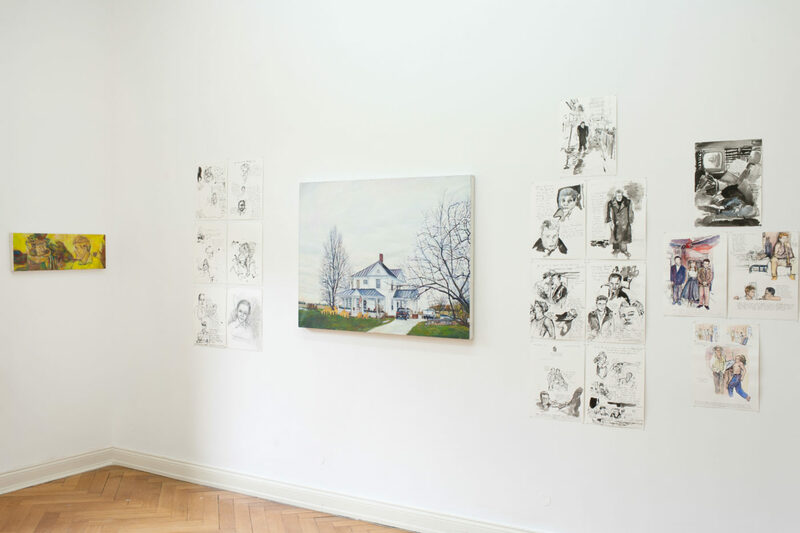 My American Dream: Berlin Edition is a new chapter of a ten-year project to represent and complicate the fiction of America and the possibilities of its painterly representation. 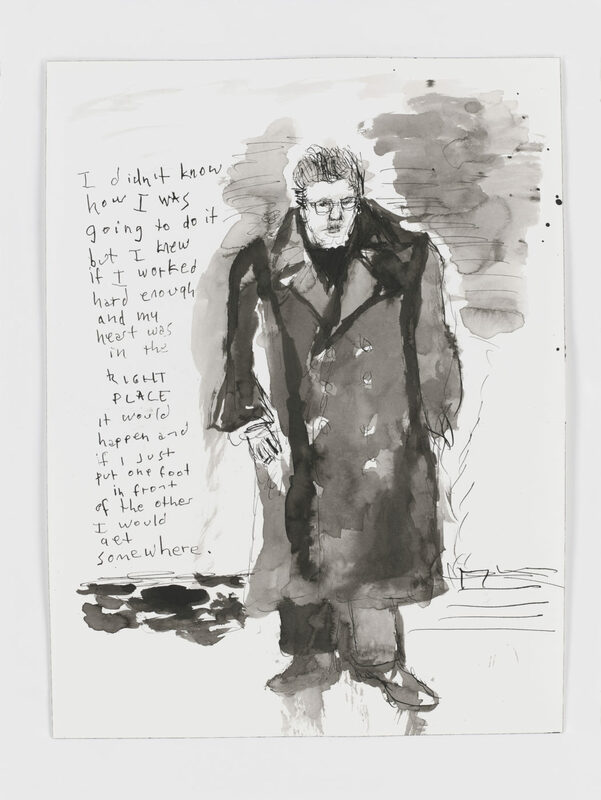 Mayerson, an acclaimed draftsman and professor for both fine art and cartooning, has also published a number of graphic novels, among them Horror Hospital Unplugged with Dennis Cooper (1996/2011). 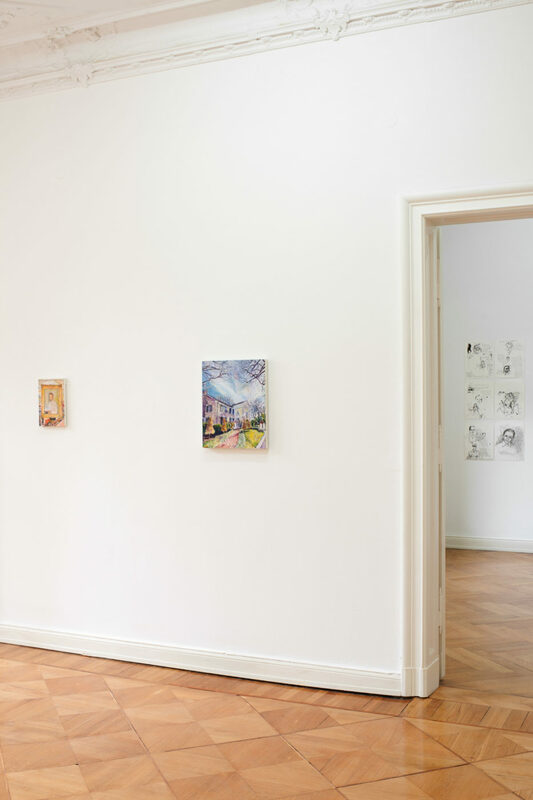 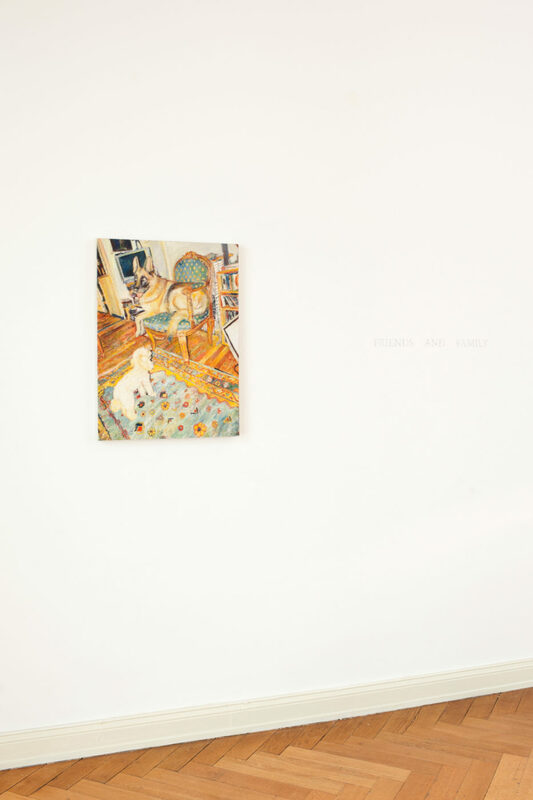 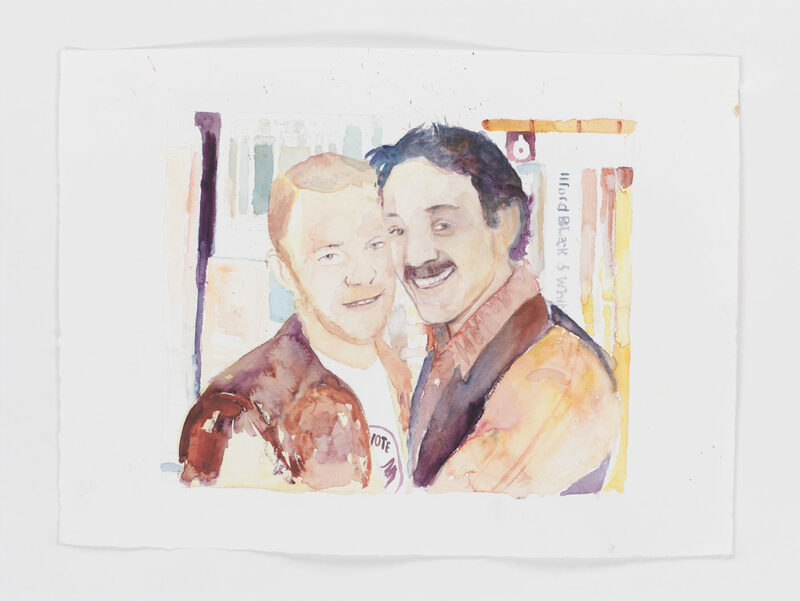 This show combines oil paintings, drawings, and graphic works. 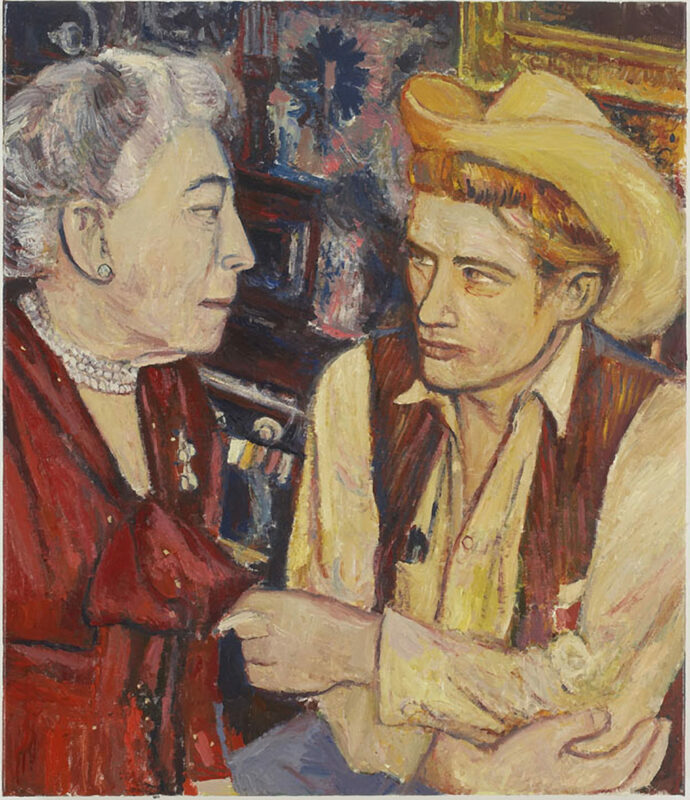 My American Dream: Berlin Edition presents works arranged by three themes: Destiny, Pioneers, and Rebels. 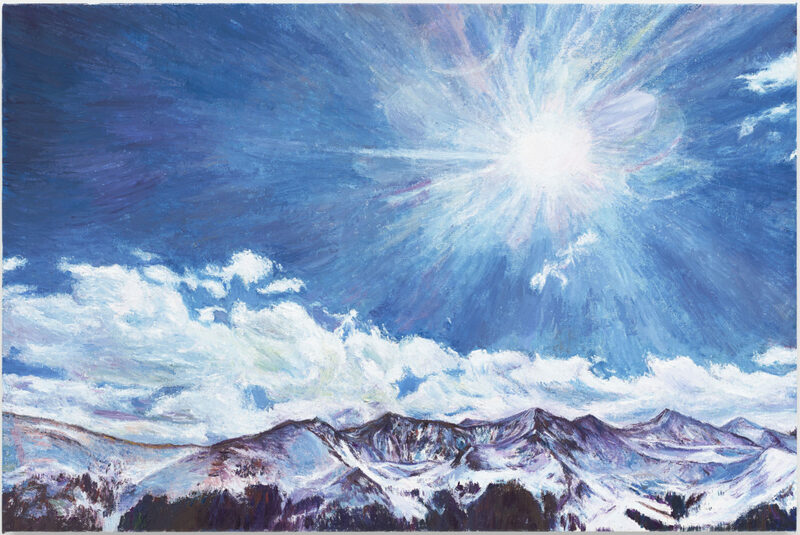 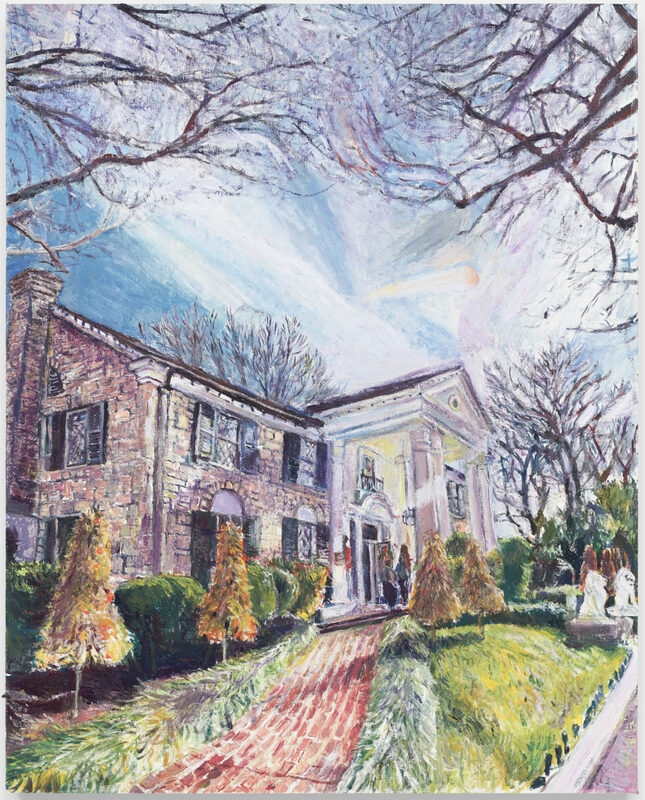 Destiny comprises paintings of landscapes and sites important to Mayerson’s narrative such as the Rocky Mountains and Elvis’ Memphis home, Graceland. 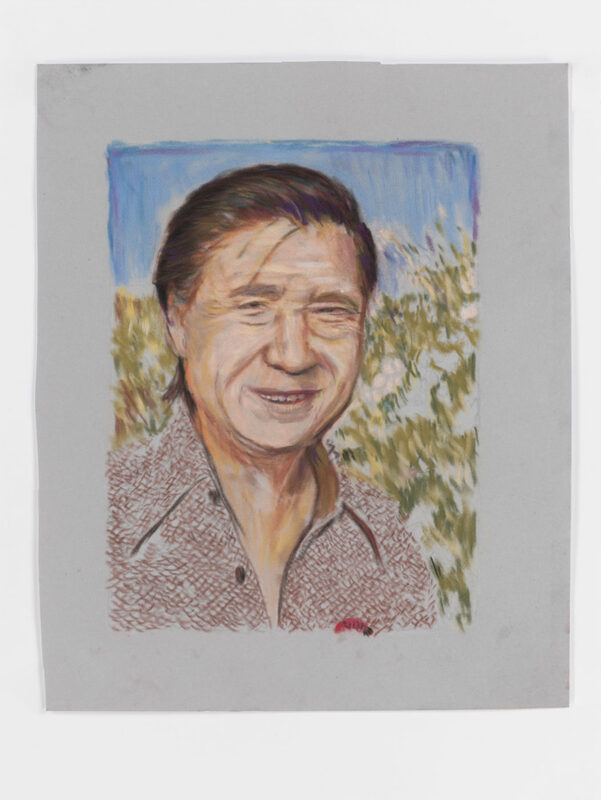 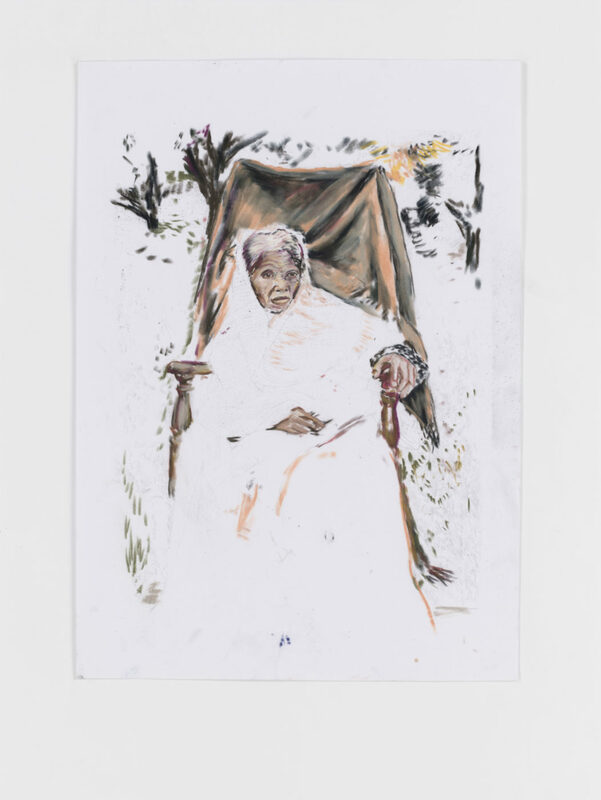 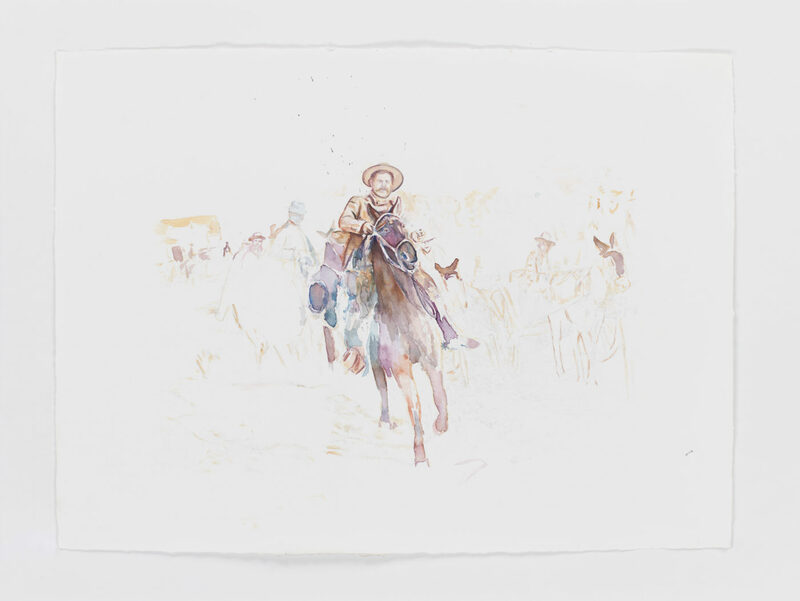 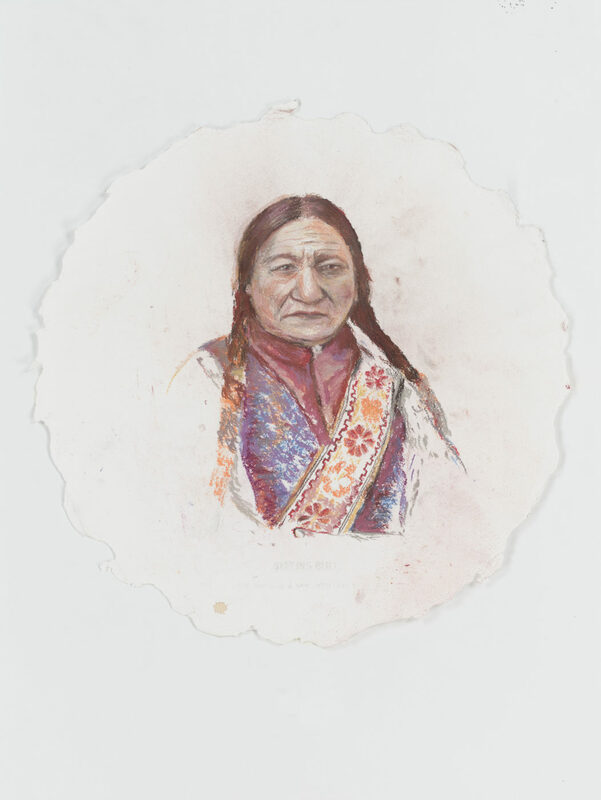 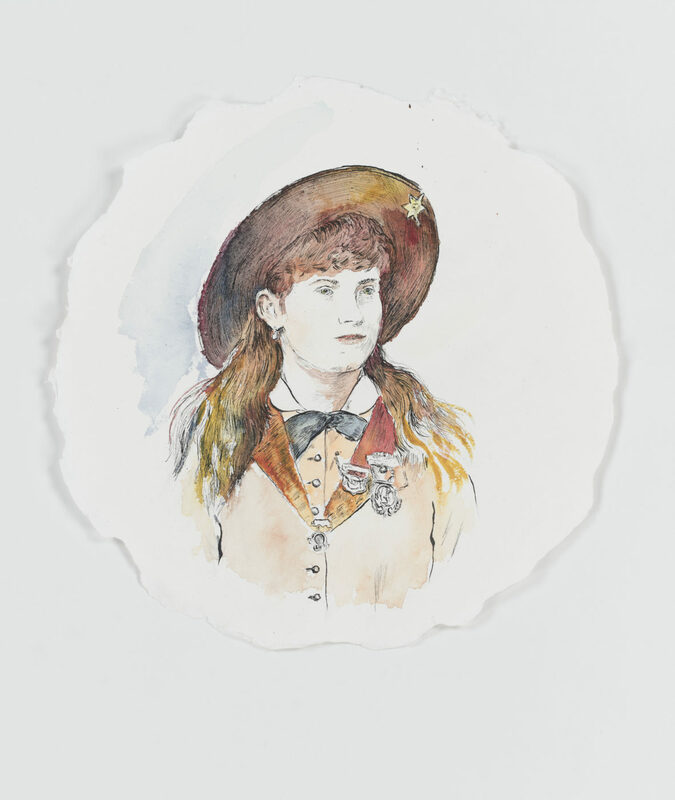 The drawings in Pioneers feature civil rights leaders and powerful cultural icons such as Harriet Tubman and César Chávez – whose portraits are drawn with graphite a pastel colors on velour paper, creating a sense of strange softness and three-dimensionality but at the same time amplifying colors – making the top of a “VOTE”-badge on César Chávez appear like a wildly colored caterpillar. 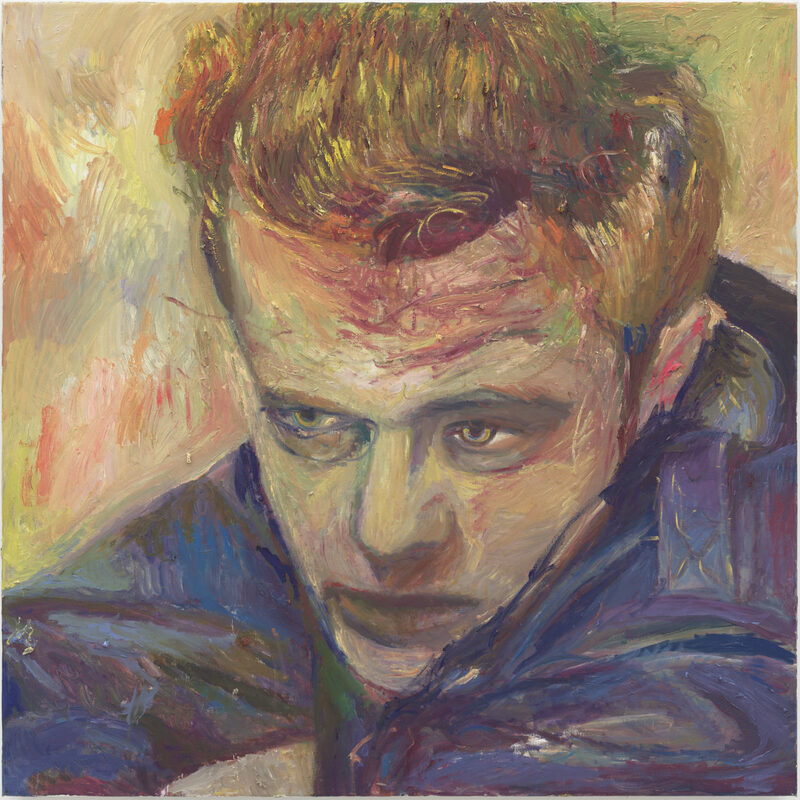 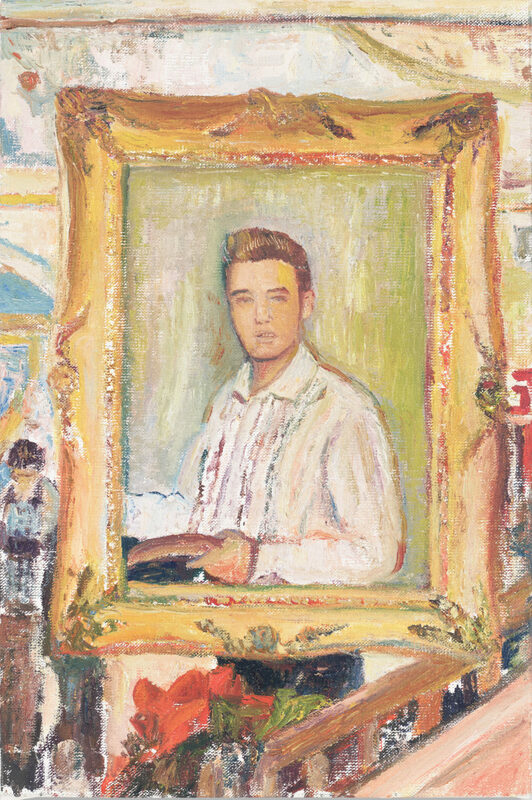 Rebels features paintings representing James Dean, as well as the graphic novel James Dean: My Life in Pictures. 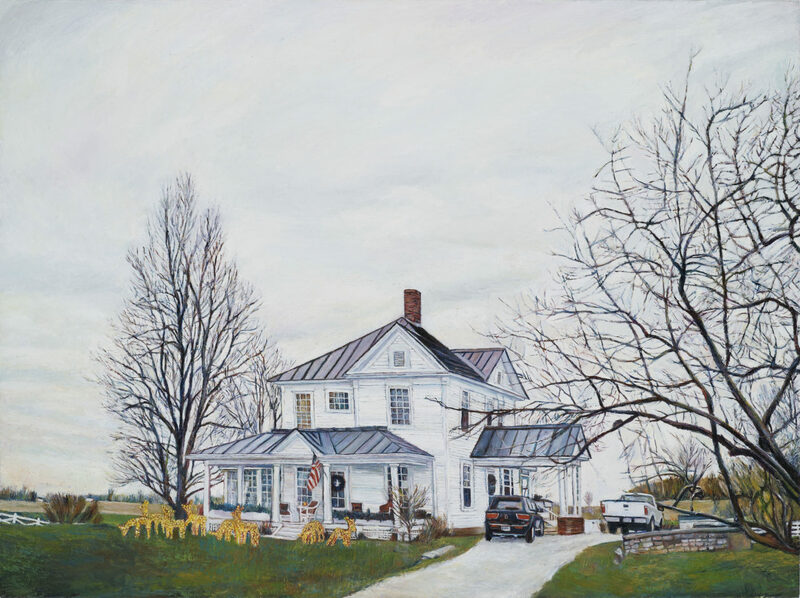 Keith Mayerson is a contemporary painter, known for his work encompassing portraits, historical scenes, landscapes, and more. 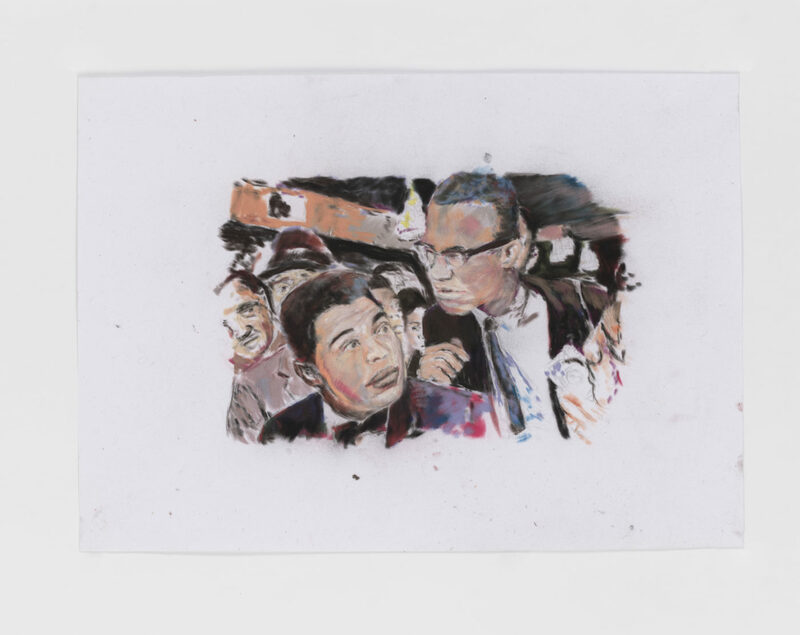 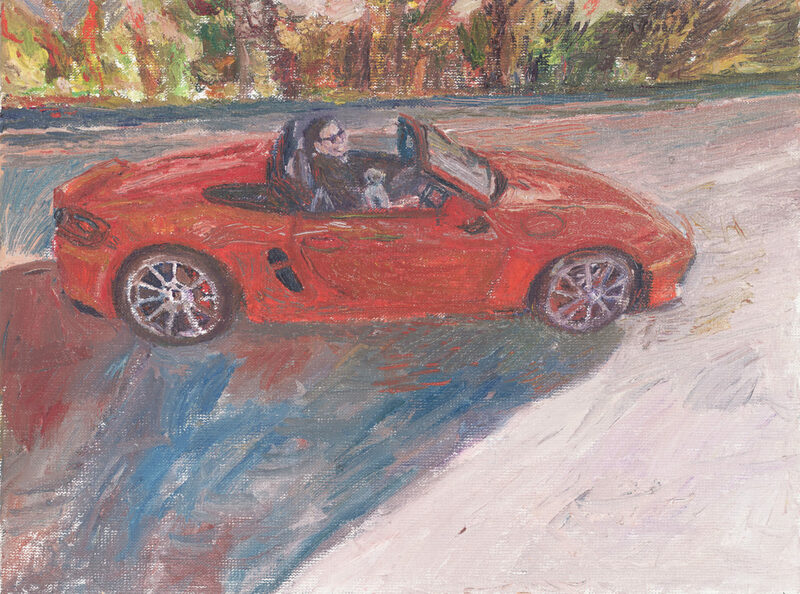 Through his paintings, Mayerson creates broader narratives, citing comic books as an inspiration and influence. 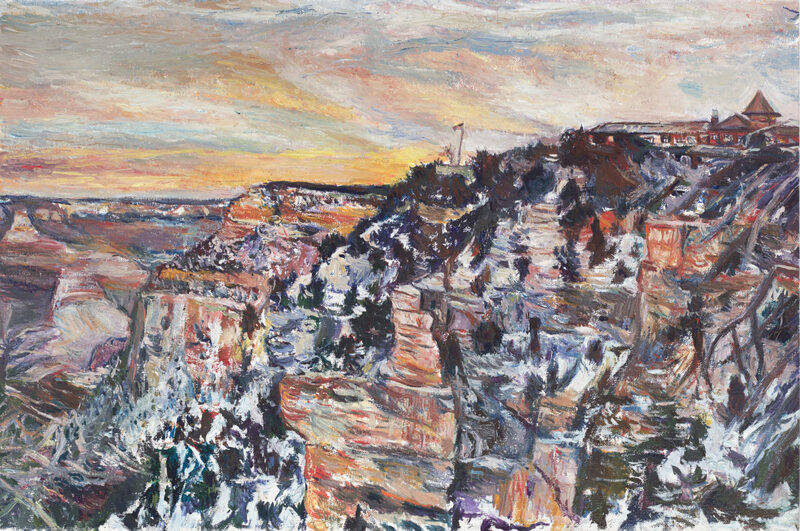 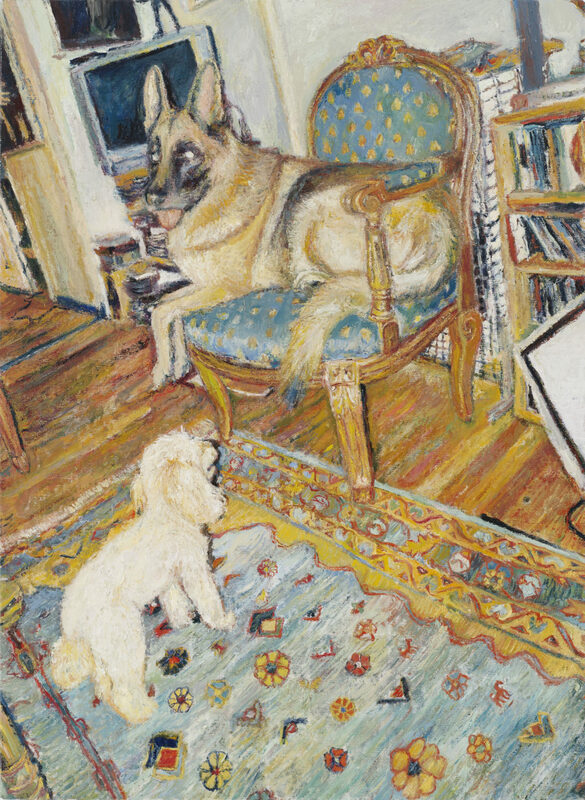 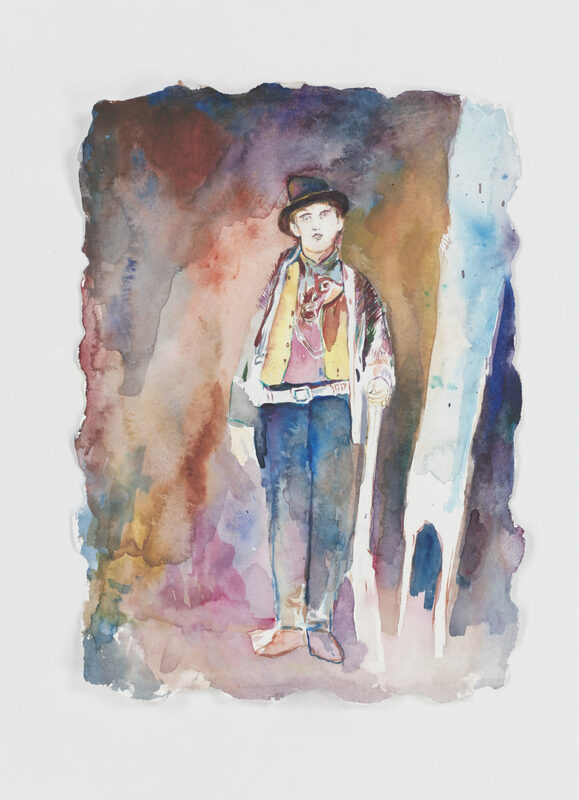 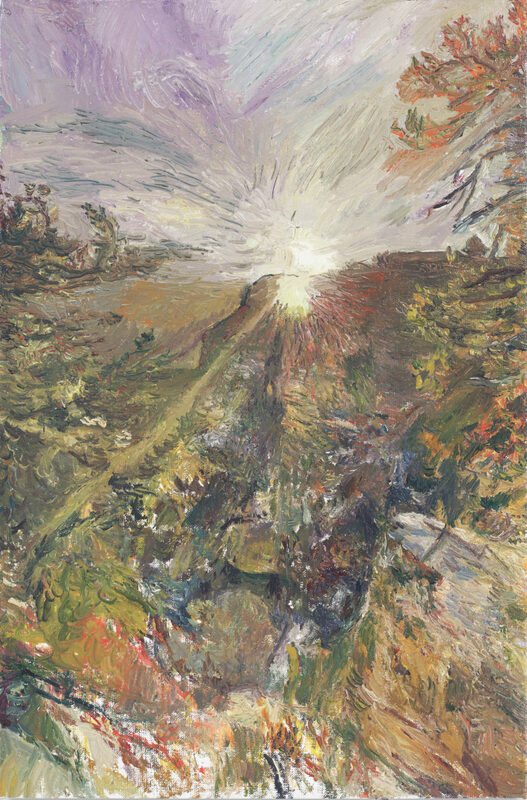 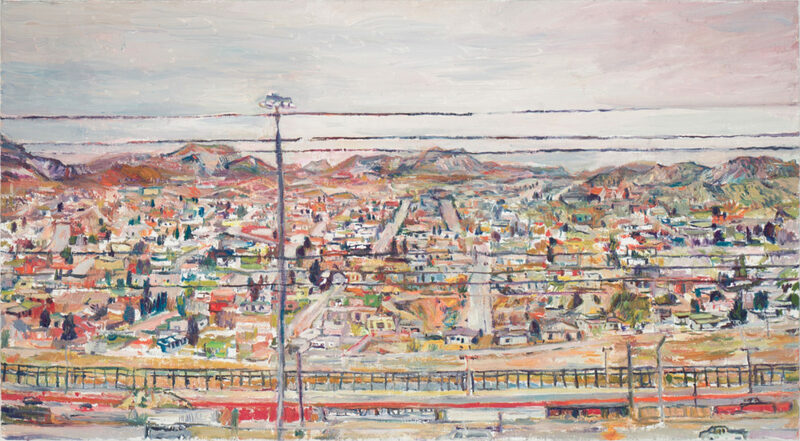 Mayerson has exhibited widely and his work is featured in the permanent collections of the Whitney Museum of American Art, the Museum of Modern Art, New York, the Los Angeles County Museum of Art, the San Francisco Museum of Modern Art, the Cleveland Museum of Art, and the Columbus Museum of Art.